Sir John Franklin (1786–1847) and Jane, Lady Franklin (1791–1875), vice-regal couple, arrived in Van Diemen's Land in 1837. They brought with them hopes for improving the penal colony as well as an awareness of the challenges that accompanied such a posting. When Sir John was recalled in 1843 they left the colony betrayed, maligned and exhausted, determined to achieve retribution and retrieve their self-esteem. At the root of their problems was a difficult period in the colony's history, with controversy over the convict system, economic depression, a hostile press, and a hostile group of influential settlers, the 'Arthur Faction'. Lady Franklin aroused the ire of the press, and was accused of having undue influence over her husband and 'improper interference in the business of Government'. Her unconventional behaviour did not fit either the conservative picture of the domesticated woman or community expectations of a governor's wife. Well-educated, with a taste for literary and scientific pursuits, she had travelled extensively, indifferent to hardship. Unencumbered with maternal responsibilities, she was not overly keen on social occasions, but was happiest travelling around the country, attending the meetings of the Natural History Society and discussing politics and government, at which she proved as adept as her husband and certainly more perceptive. Such a woman could have found a comfortable niche in Europe's more progressive society, but in the Australian colonies her interests and behaviour were seen as a threat to the stability of a male-dominated society. 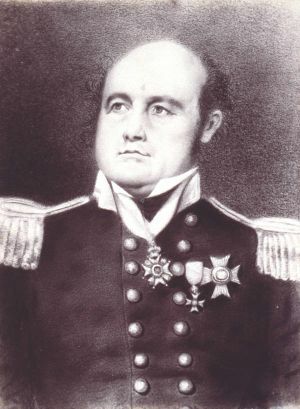 Sir John, previously a naval officer who had sailed with Matthew Flinders in the Investigator, and a veteran of several Arctic voyages of exploration, had the disadvantage of succeeding politically experienced Lt-Governor Arthur, one of the few Tasmanian administrators who enjoyed the support and confidence of the British government. Sir John had no political experience and was too straightforward and naive to understand the intrigues and complexities of governing a convict colony. Lady Franklin saw it as her duty to assist her husband, who she recognised was ill fitted for the task. The more Sir John attempted to curb the power of the Arthur clique, the harder matters became. He incurred the enmity of Colonial Secretary Montagu who found a ready tool in the unconventional behaviour of Lady Franklin. Nevertheless, the Franklins left behind an improved cultural milieu. To encourage learning and improvement they founded the Tasmanian Natural History Society (later the Royal Society) and brought out a scientific journal; they encouraged education, both government and a short-lived Anglican secondary school; and Lady Franklin built a small classical temple surrounded by a native plant garden, supported the idea of a museum and generally encouraged scientific and literary pursuits. They founded the Hobart regatta and Lady Franklin established a settlement in the Huon. Her interest in the fate of the Aborigines led her to adopt an Aboriginal girl, Mathinna. 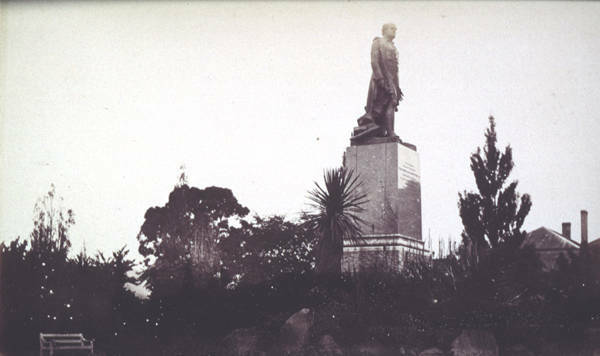 Not all the press and society were hostile, and a large section of society admired and supported the Franklins; on Sir John's death, the citizens of Van Diemen's Land subscribed to and erected a statue to him in Hobart. After their return to Britain, Franklin led a disastrous search for the North-West Passage in which all hands died. Lady Franklin spent much money organising searches for her husband, and after they failed spent the remaining years of her life indulging in her love of travelling in exotic places. Further reading: K Fitzpatrick, Sir John Franklin in Tasmania, 1837–1843, Melbourne, 1949; J Franklin, Narrative … Hobart, ; J Calder, Recollections of Sir John and Lady Jane Franklin in Tasmania, Adelaide, 1984.